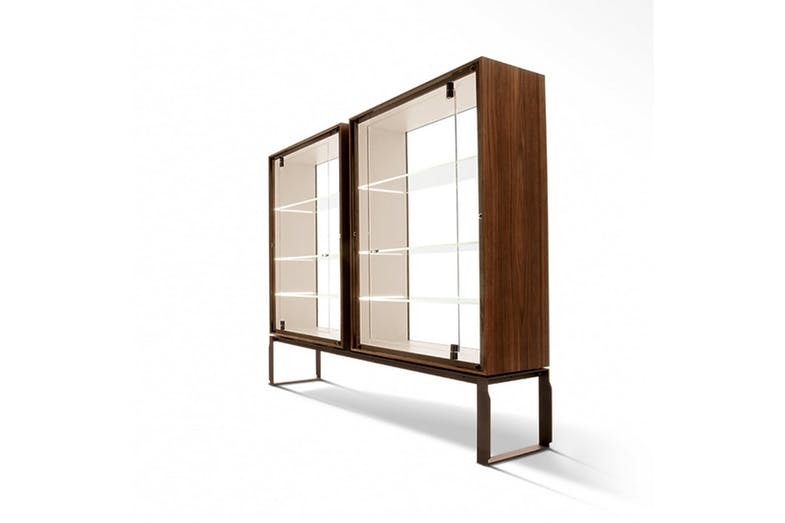 Glass cabinet in walnut canaletto wood (fin.11) made up of two vertical elements. The interior is available in two versions: white painted Fiddleback Sycamore or gold leaf decoration. The doors, back and shelves are in tempered glass. These are illuminated by LEDs which are turned on by a remote control supplied with the product. The metal hinges, door knobs and base are painted in a bronze colour.